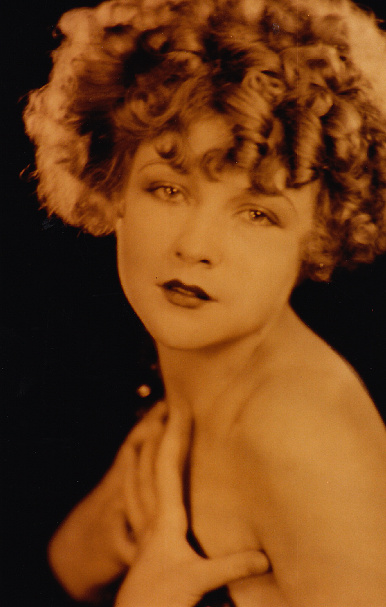 After Joyce Compton’s contact with First National ended in 1927, she freelanced for a variety of studios. Freelancing meant sticking close to home and waiting for the phone to ring. During those lean times, the Comptons began breeding and selling Belgian Griffons. “I also discovered I had some art talent, and while being home bound and waiting for the phone to ring, I did some pretty good oil paintings. 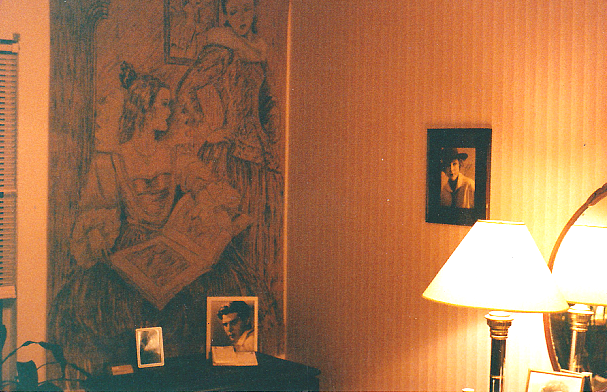 Also, using monks cloth and thinned-downed oils, I painted some wall hangings,” Joyce wrote in The Real Joyce Compton: Behind the Dumb Blonde Movie Image . 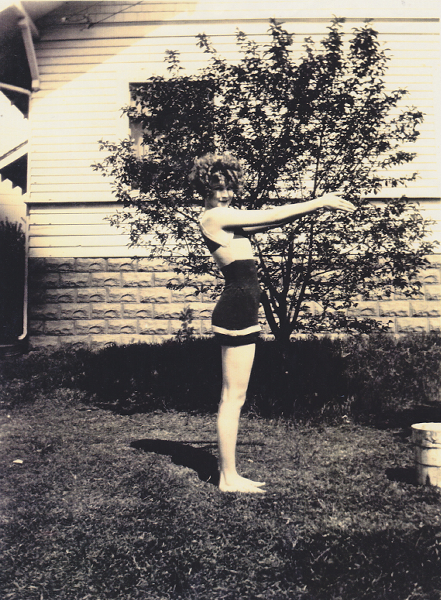 Joyce’s artistic flair came to life while still a teenager in Tulsa. 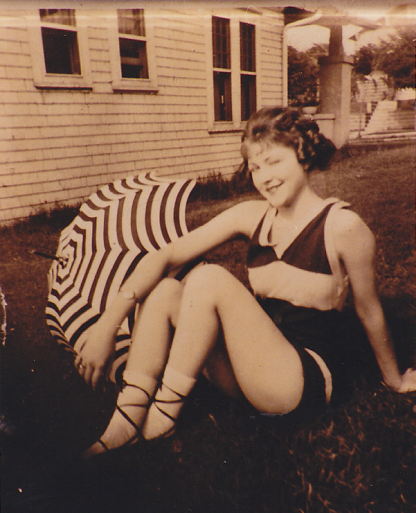 She envisioned herself a Sennett Bathing Beauty. 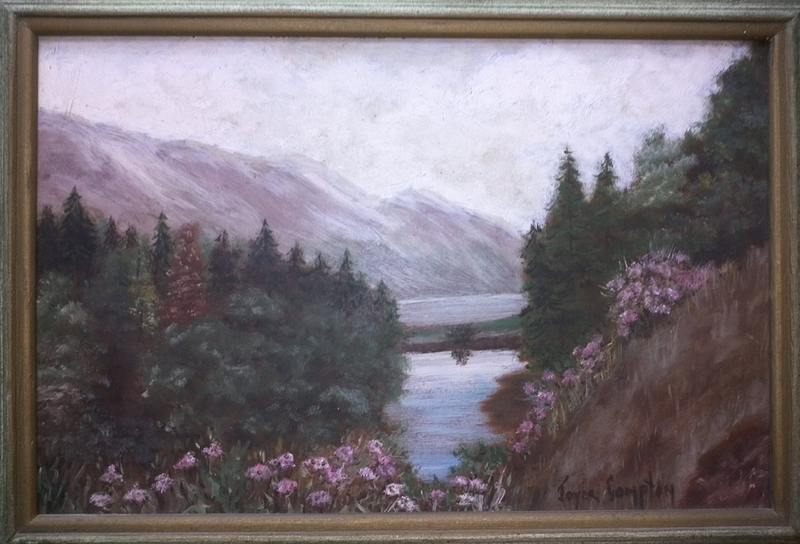 In this blog post, I share with you some of Joyce’s art work from the late 1920s and early 1930s. 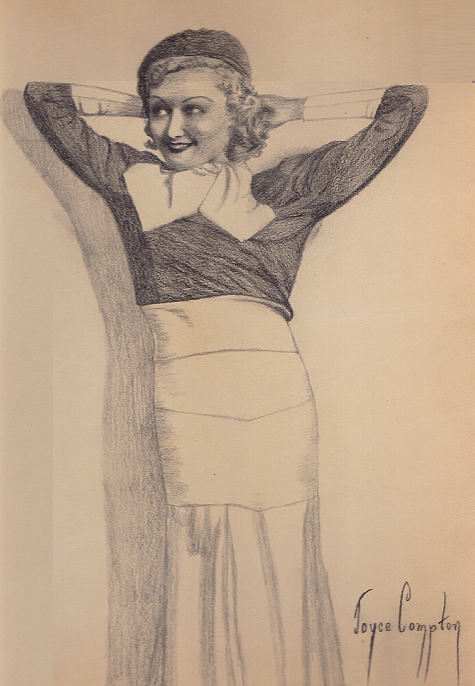 Her media was mostly oils, but she did some nice charcoal self portraits. Joyce with one of her monks cloth paintings. Today, the painting hangs in a spare bedroom in my home. It is one of my treasures. Joyce loved working in charcoal. Most of her drawings were self portraits. 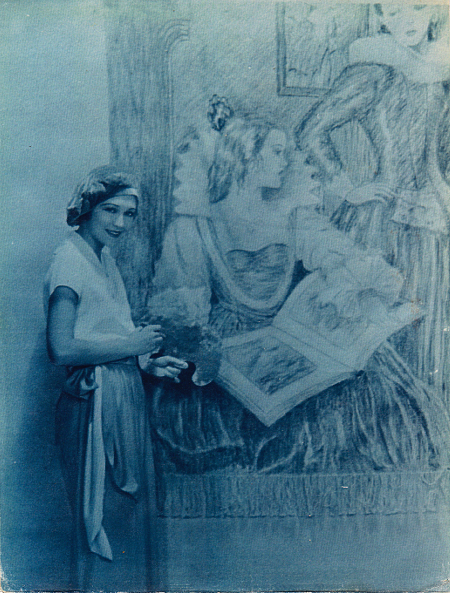 A Joyce Compton self portrait (1930s). 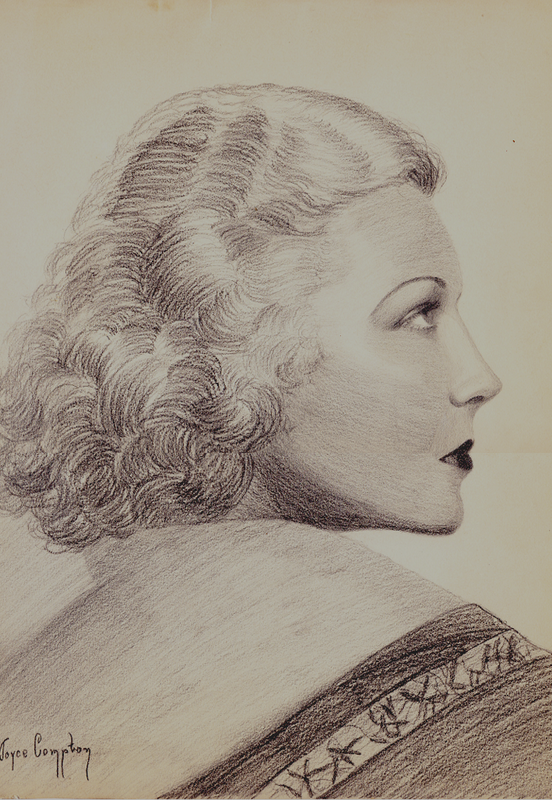 A self portrait from the early 1930s. My personal favorites are her oil paintings. 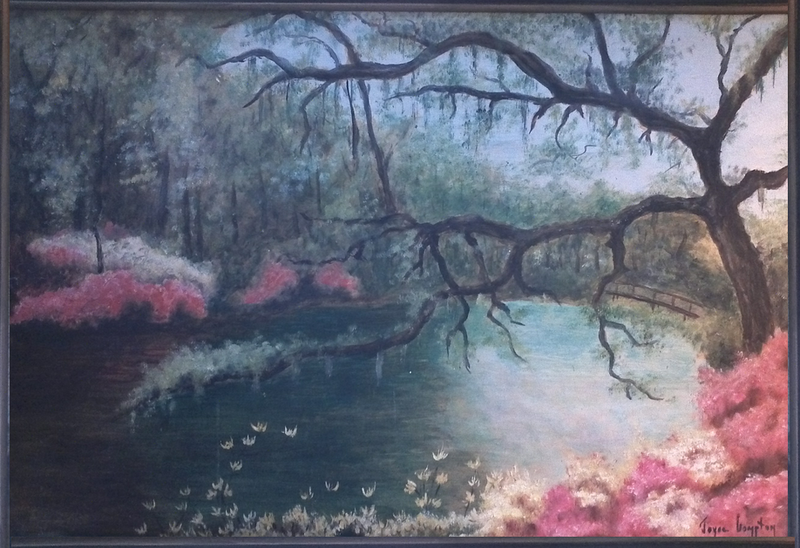 “Azalea Garden,” Middleton Plantation, Charleston, South Carolina. By Joyce Compton. In the mid-1930s, Joyce drew the plans for the house she built with her parents on Davana Street in Sherman Oaks. Money was always tight for the Comptons. 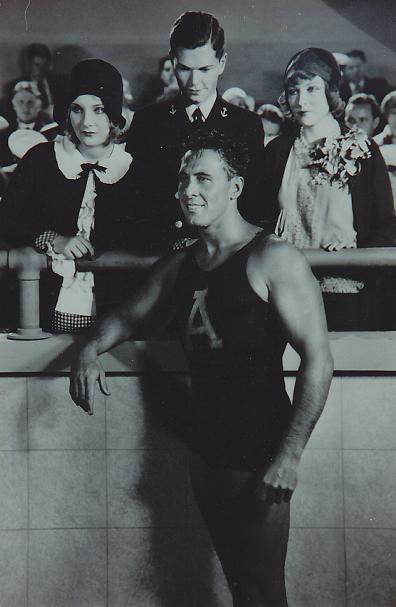 When Joyce would get a film role, they would hire workers and do a portion of the construction. 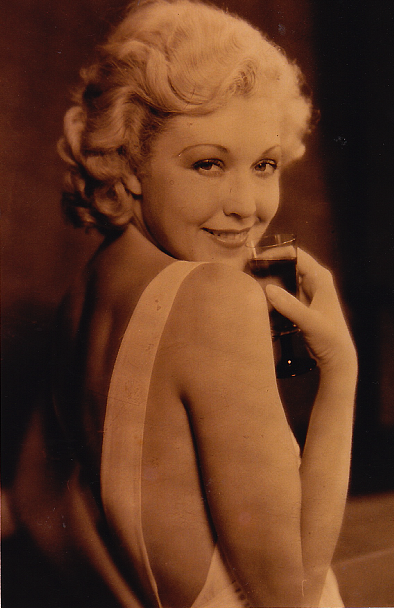 A classic Joyce Compton pose from the 1930s. When money ran out, work stopped. A role would come along and work on their house would go forward. She called the finished home, Joyce’s Hodge-Podge Lodge. She lived in her beloved home until the early 1990s. In later years, when answering fan mail, Joyce would enclose a handmade bookmark, most often with a favorite Bible verse. 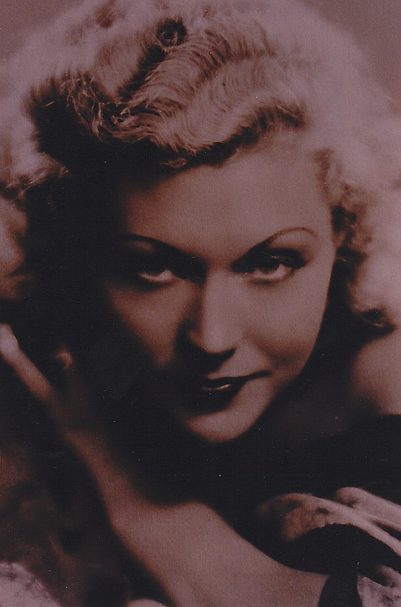 Read more about Joyce’s 30-year career in films in her autobiography, The Real Joyce Compton: Behind the Dumb Blonde Movie Image. Today, I lift a toast and pay tribute to one of the best. 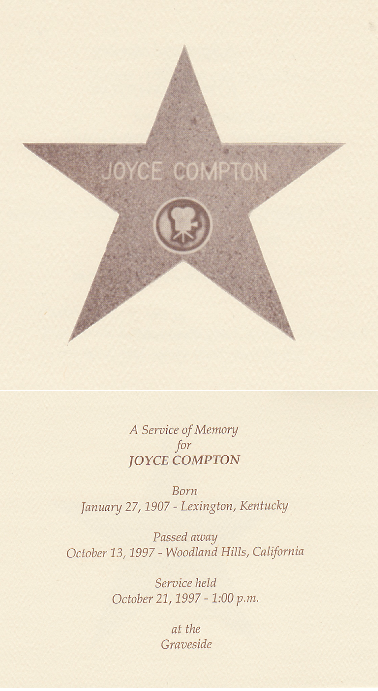 Happy Birthday, Joyce Compton! To commemorate her special day, I offer this photo essay on her extraordinary life. Joyce was a huge movie fan growing up. While a teenager in the mid-West, she was always posing and imaging herself in front of the movie cameras. 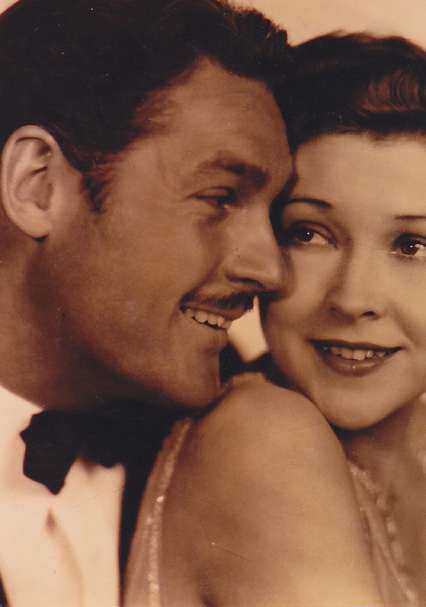 In 1925, the Comptons sold their home in Oklahoma, packed their belongings, and headed west to Hollywood. It was time to give little Joyce a chance. 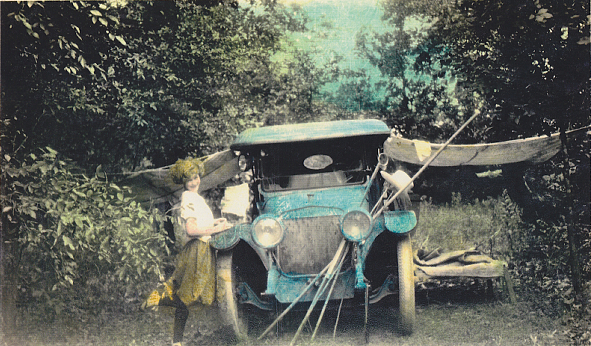 Joyce, at a campground somewhere between Oklahoma and Hollywood. 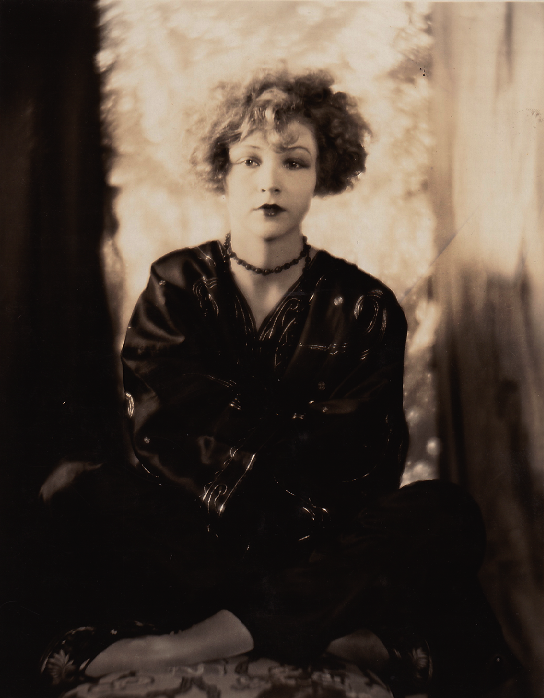 Mae Murray was Joyce’s favorite movie star. She imitated her pose and hairstyle. Joyce was soon under contract to First National. 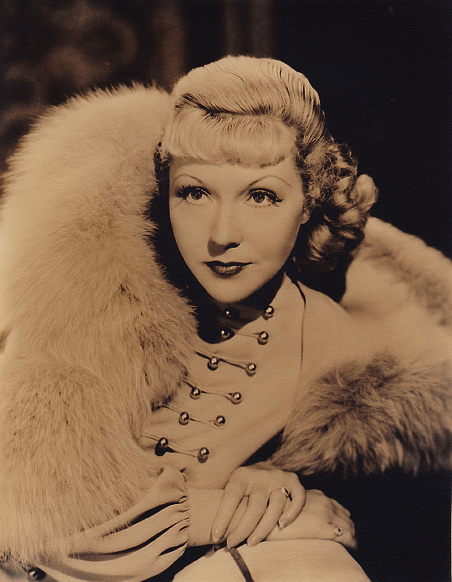 She was named a Wampas Baby Star in 1926. Joyce is fourth from the right. How many other actresses can you name? 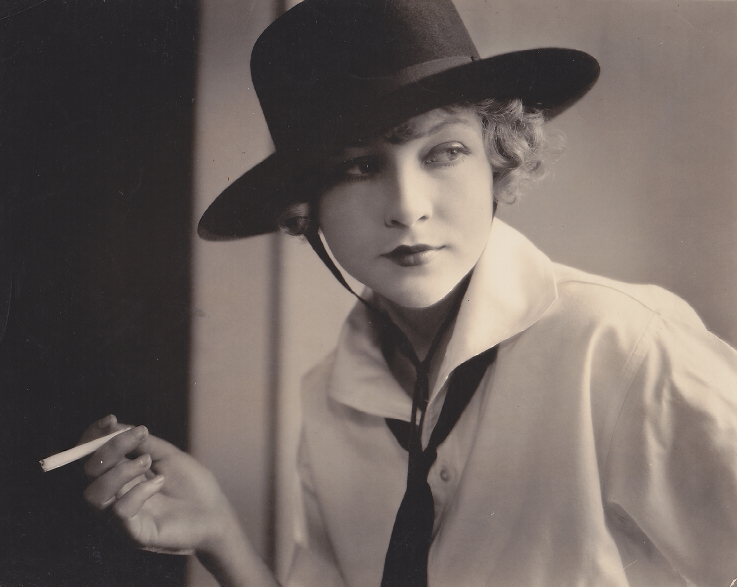 Joyce was placed under contract to Fox in the late 1920s. They were determined to change her image to that of a siren. There was talk about teaming her with Charles Farrell. 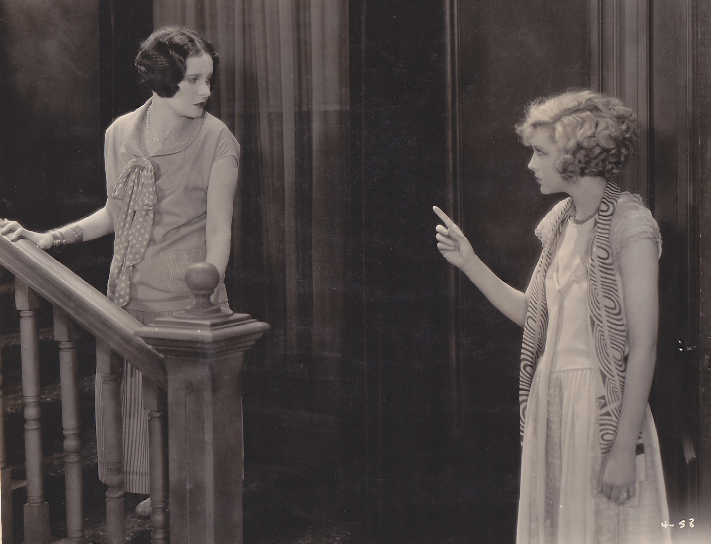 Joyce (R) with Helen Chandler, George O’Brien (foreground), and William Janney in Salute (1929). Joyce found her niche in the early 1930s when she became a blonde and concentrated on comedy. Perhaps her most finest role was as Dixie in The Awful Truth with Cary Grant. 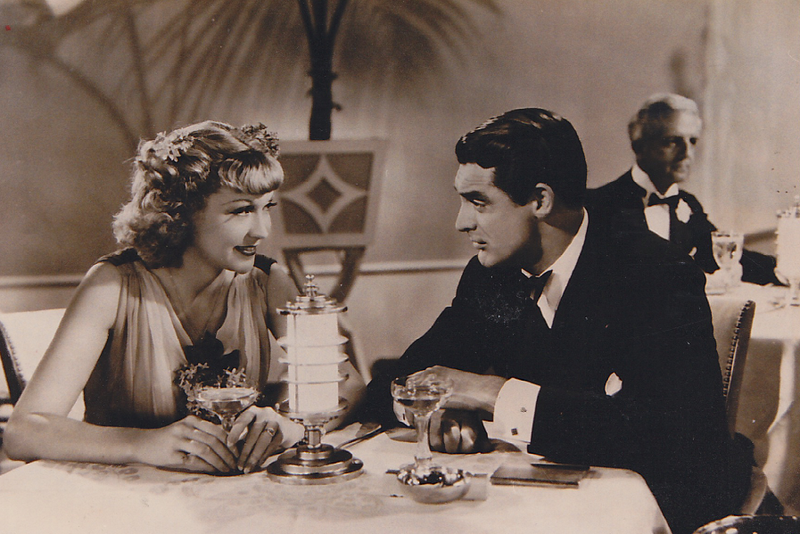 Joyce plays Cary Grant’s girlfriend in The Awful Truth. 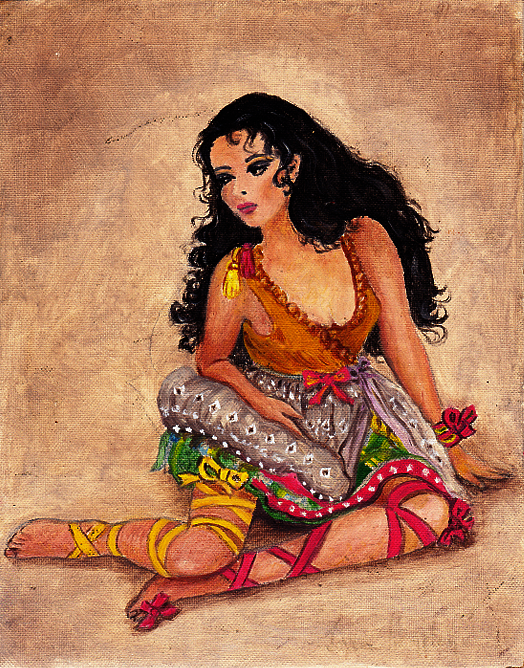 In addition to acting, Joyce was also a gifted artist. Here is a self portrait. 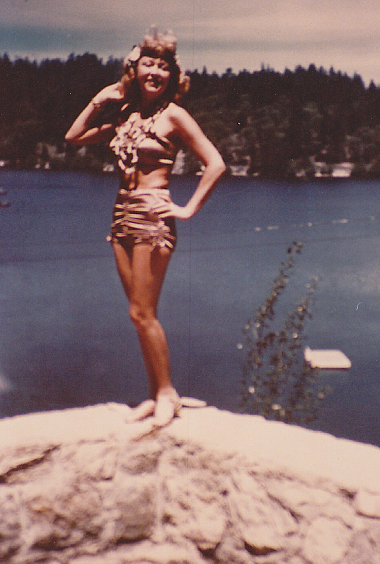 Candid shot of Joyce at Lake Arrowhead in the late 1940s. 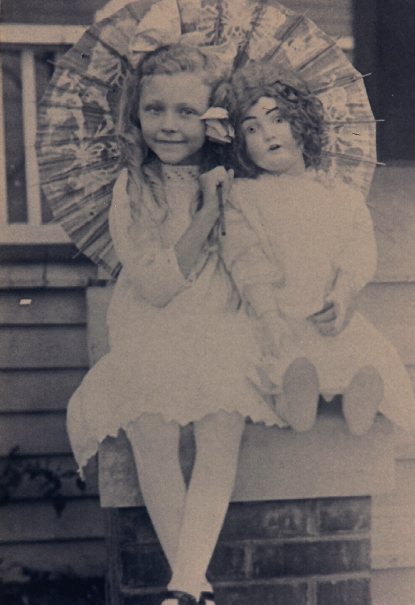 Joyce was an animal lover from childhood. Here she is with her beloved Taj. When fans sent Joyce photos and asked for her autograph, she usually included homemade prayer cards with her favorite Bible verses. 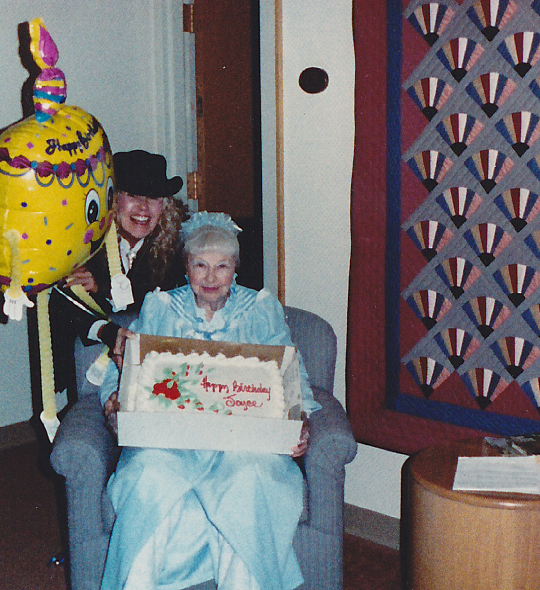 Joyce celebrates her birthday in 1993 at the Motion Picture Home. Joyce passed away on October 21, 1997. She is buried at Forest Lawn — Hollywood Hills. We miss you, Joycie! Happy Birthday!